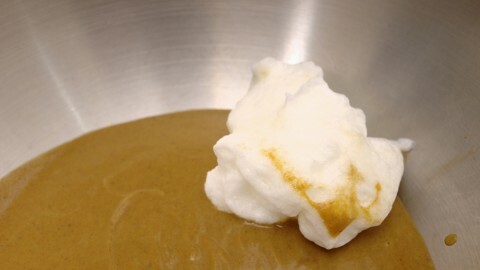 The so-called pumpkin purée (if it may so be called) that I use in this mousse is in fact from a blue hubbard squash. 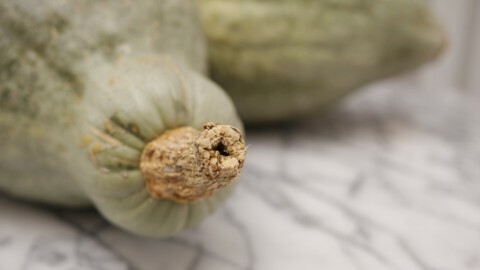 Blue hubbards are giant, lumpy, gray, and often planted by farmers as a squash pest trap — to lure cucurbit-eating bugs away from more salable squashes, toward a plant where they can’t do as much harm. But again — as I said in my last post — blue hubbards are in fact delicious, offering bright flavor and just a hint of watermelon scent. And it would be a shame to forfeit them to the insects entirely. At any rate — regardless of the particular winter squash we are designating a pumpkin for the purposes of this post — the great thing about pumpkin mousse is that it serves not just as a dessert, but as a kind of peacemaker at the Thanksgiving table. It brings together two fundamentally antagonistic groups — those who love pumpkin pie and those who loathe it. And it tells them: Look, I respect you both. And you can each have something you want. I have to admit (perhaps returning to today’s theme of full disclosure) that I really don’t understand denizens of the no-pumpkin-pie-for-me-thanks camp. I for one adore that thick, rich, bready custard baked into a buttery, flaky crust. But I have discovered over my years of making Thanksgiving for diverse groups of celebrants that not everybody shares my opinion. I have discovered that some folks — even people I consider close friends — are lukewarm about pumpkin pie at best. And I have even — oh horror! — heard words like “bland,” “heavy,” and “gag-reflex” bandied about. Well, to them I say: Here. 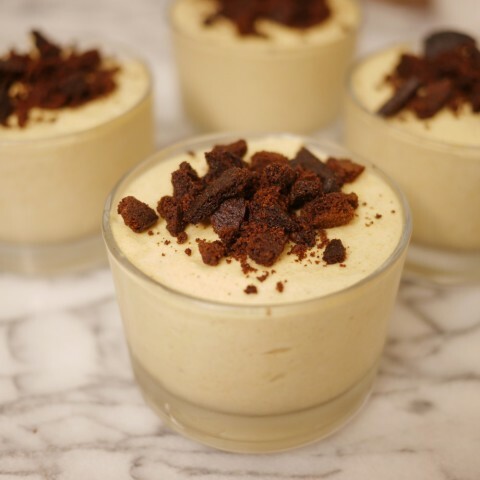 Have some pumpkin mousse instead! The advantage of this mousse for the pie haters is a radical change in texture. It is light, not bready. It is fluffy and creamy, and melts almost to insubstantiality as it touches the tongue. 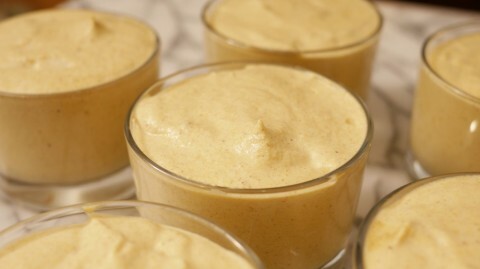 But for lovers of the pie, the virtues of pumpkin mousse are obvious, too. It retains the right kind of flavor profile, featuring squash, and spices, and sweetness, and all those other good things that start with an S. And though it is light, at least going down, the quantity of cream involved means that it will be — lets go with satisfyingly memorable — as the ending of a meal. I would recommend topping this dessert with crumbled ginger snaps when you go to serve it. And when you bring it out, I would recommend announcing to your guests in the most dramatic of fashions: On this, the friendliest of feasts, I present to you a mousse of consolation! 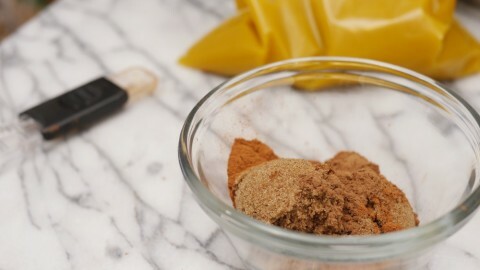 To a double boiler (or a bowl positioned over a water-filled saucepan) over medium heat, add the egg yolks, brown sugar, and spices and beat for about two minutes, until the sugar is melted and the yolk begins to cook, but not congeal. Remove from the heat and whisk in the butter. Then whisk in the squash puree and set aside to cool. 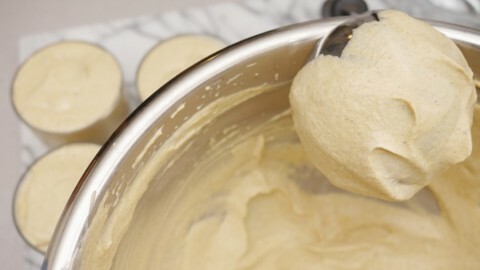 To a chilled bowl, add the whipping cream and vanilla extract, and whisk with a hand mixer until the cream forms medium peaks. Add the egg whites and a pinch of salt to a second bowl — this one at room temperature — and with meticulously clean beaters, whisk until the mixture is mostly foam. Then add the confectioners sugar, and continue beating until the egg whites form medium peaks, too. You’ll know they’re done when they mostly hold their shape, but bend at the tips. 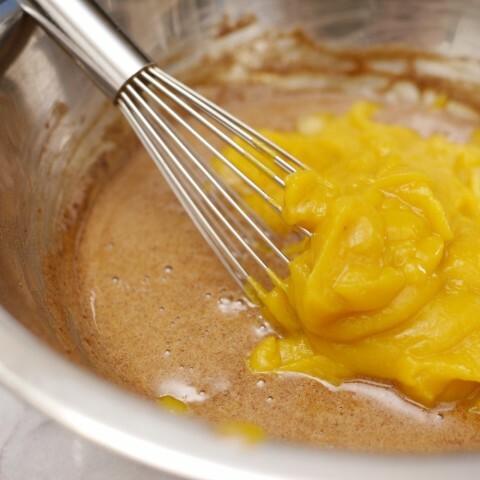 To make the mousse, add the squash mixture to a medium work bowl. 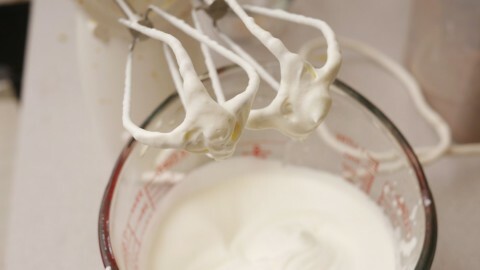 Vigorously mix in about a quarter of the egg whites using a rubber spatula. Then gently — a third at a time — fold in the rest of the whites. Finally, still going one third at a time, fold in the whipped cream. It will take some time to thoroughly integrate the whites and the cream. But be patient. Persistent gentle folding will do the job, and hurrying will only collapse it. Once you’ve made the mousse, ladle it into individual custard cups and chill in the refrigerator. Serve, topped with crumbled ginger snaps. This should make six servings, but the recipe is easily doubled.